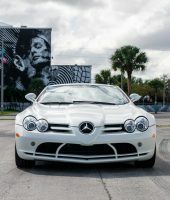 Mercedes-Benz AG and McLaren Automotive collaborated in 1999 to build the beautiful SLR, the German/Anglo partnership producing the homage to the original 300SLR, which served as the car’s inspiration, from 2003 to 2010. 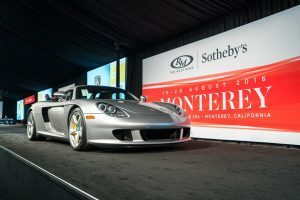 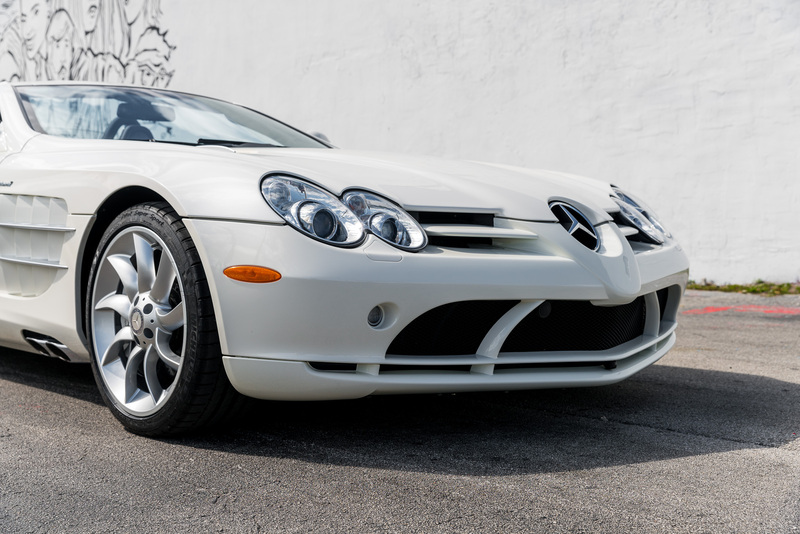 The SLR was built as a front engine coupe, roadster and speedster models and labeled as a grand tourer to compete in the market segment against Aston Martin DBS V12 and Ferrari 599 GTB Fiorano. 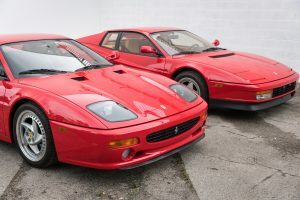 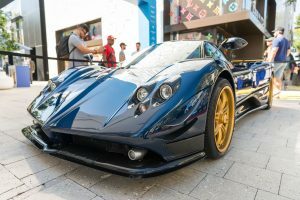 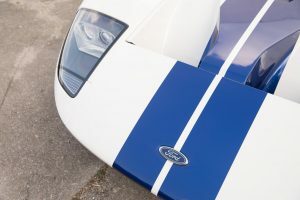 of the most famous and successful racing cars in history. 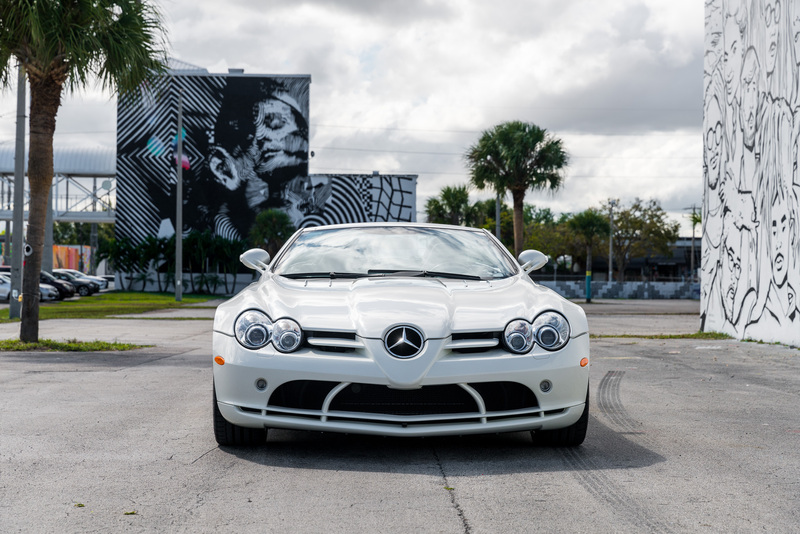 The modern incarnation of the SLR was introduced at the 1999 North American Auto Show in Detroit as a coupe concept, presented as “Tomorrow’s Silver Arrow”, an obvious reference to the famous competition Mercedes-Benz racing models of the 50s which were nicknamed “Silver Arrows”. 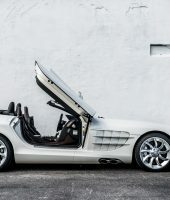 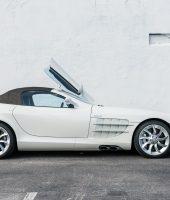 About a year later, an SLR roadster version was introduced at the Frankfurt Auto Show, both concepts were outfitted with 5.4 liter supercharged AMG built V8 engines which produced 557BHP at 4,000RPM mated with a 5-speed automatic gearbox and Touchshift controls. 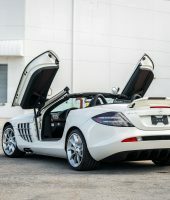 McLaren had some minor design adjustments such as more complex side vents on both sides of the car and atop the engine bonnet for increased ventilation, redesigned Formula One-like sloping nose to the three-pointed star logo atop the bonnet and red tinted tail lights. 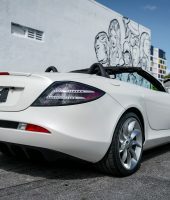 The striking long, dramatic design of the SLR features active aerodynamics, notably the spoiler atop the rear deck lid which acts as an air brake flap. 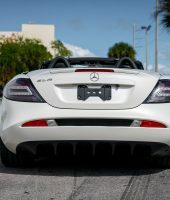 The driver may control the angle at which the deflection of the spoiler may be increased by another thirty degrees for additional rear downforce. 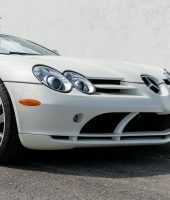 The SLR has a flat underside culminating with a rear diffuser for improved downforce. 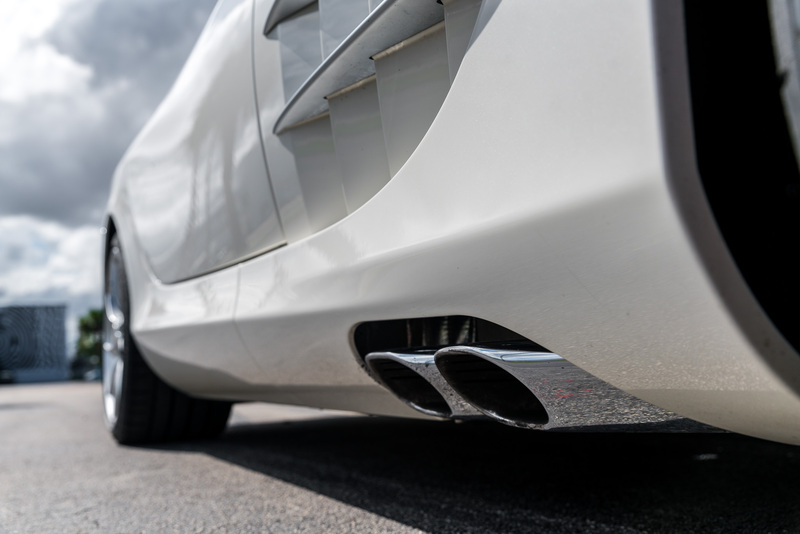 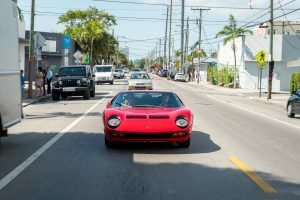 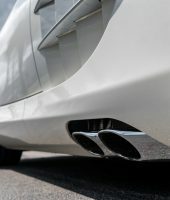 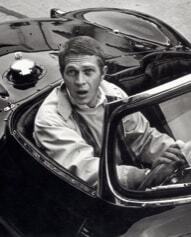 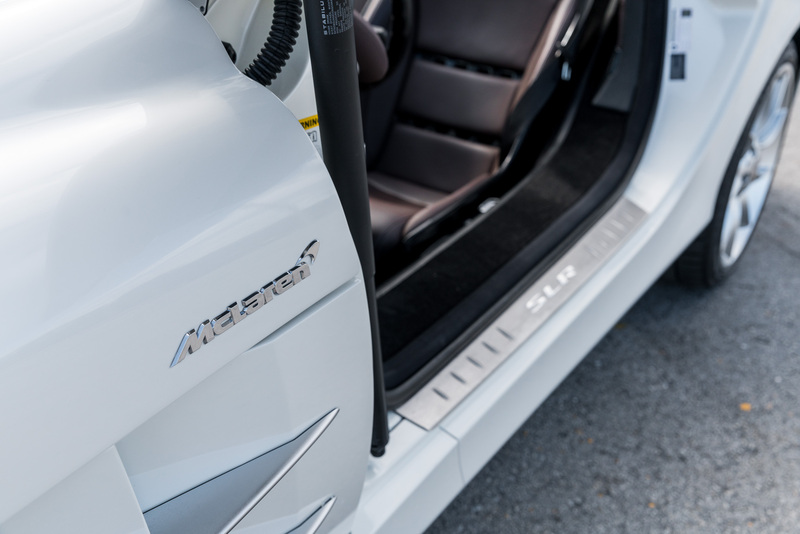 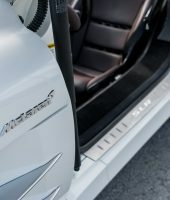 Due to these aerodynamic attributes, the exhaust pipes had to be ported out the sides of the car ahead of the cabin, a unique feature for modern sports cars. 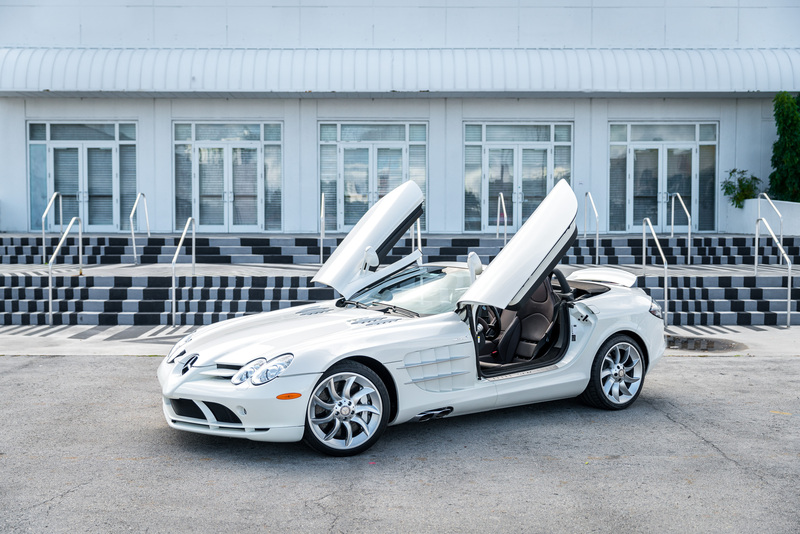 The SLR engine is a hand built 5.4 liter supercharged all aluminum with SOHC, three valves per cylinder V8. 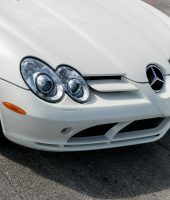 The Lynsholm-type twin screw supercharger rotates at maximum 23,000RPM and produces .9 (13 PSI) of boost. 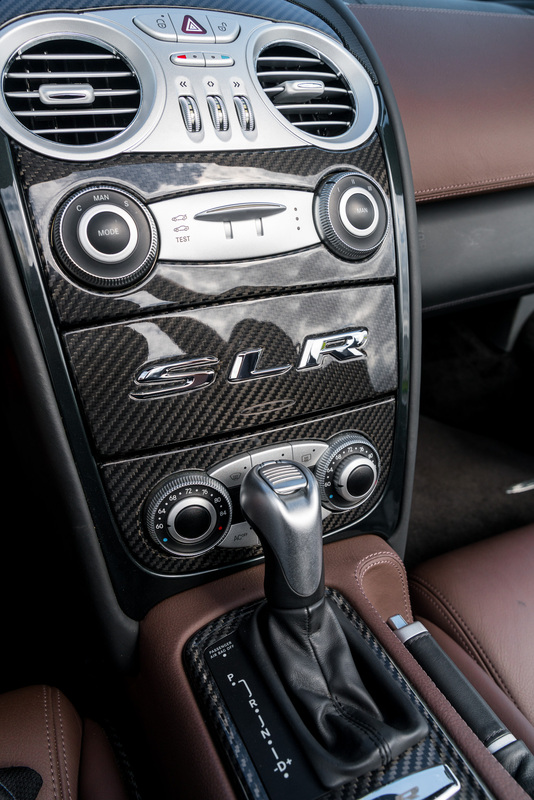 The compressed air is cooled with two intercoolers with the engine producing in excess of 617BHP at 6,500RPM. 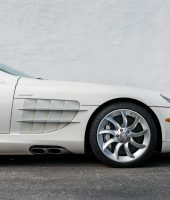 Among McLaren’s contributions to the original car was moving the motor one meter behind the front bumper and about 17mms behind the front axle. 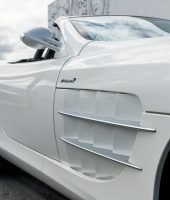 The placement of the firewall was also optimized to create better center of gravity. 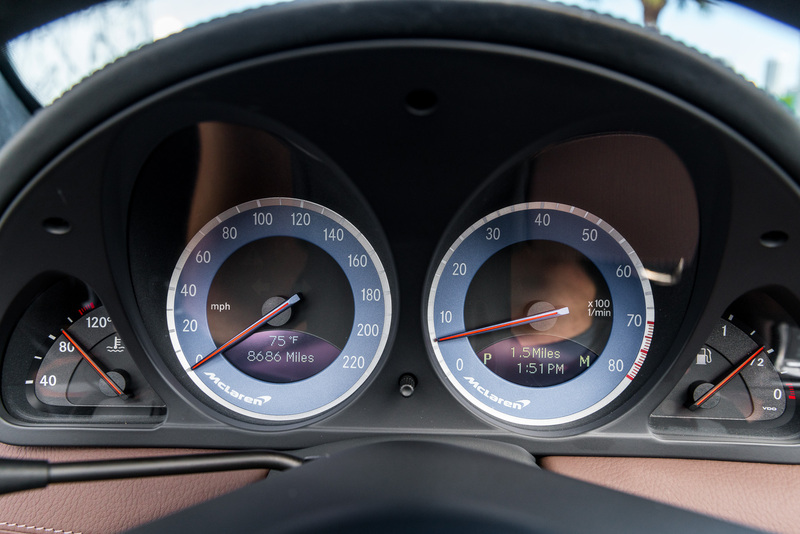 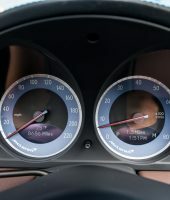 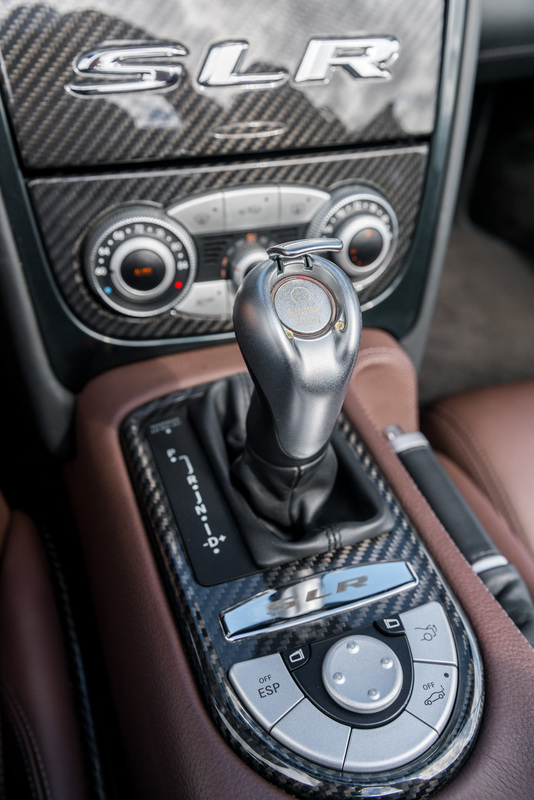 The AMG Speedshift R five-speed automatic with three manual modes is employed in the SLR. 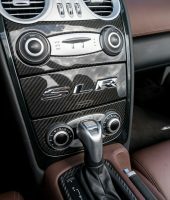 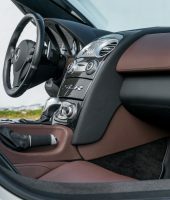 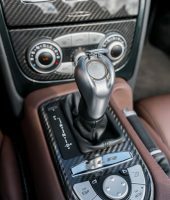 Mercedes-Benz selected a five-speed rather than their commonly used seven-speed transmission which was heavier and used more parts. 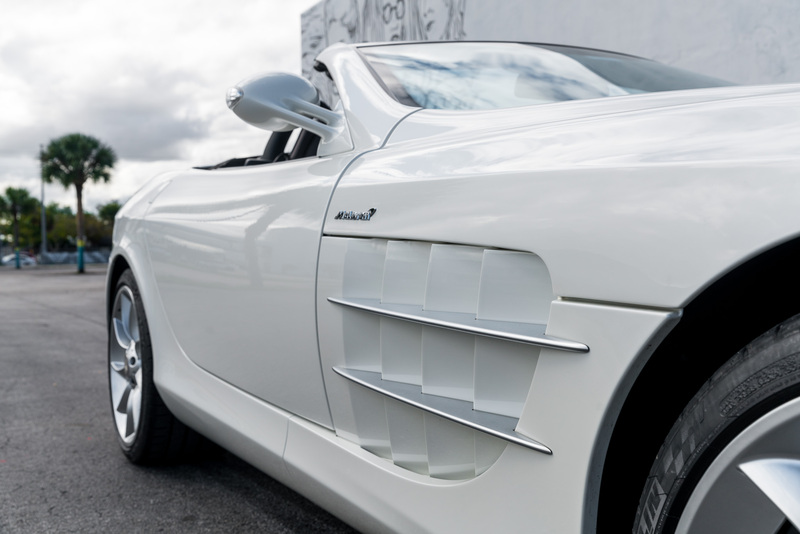 SLR bodywork is made of carbon fiber reinforced plastic (CRFP) which was used to keep the overall weight low. 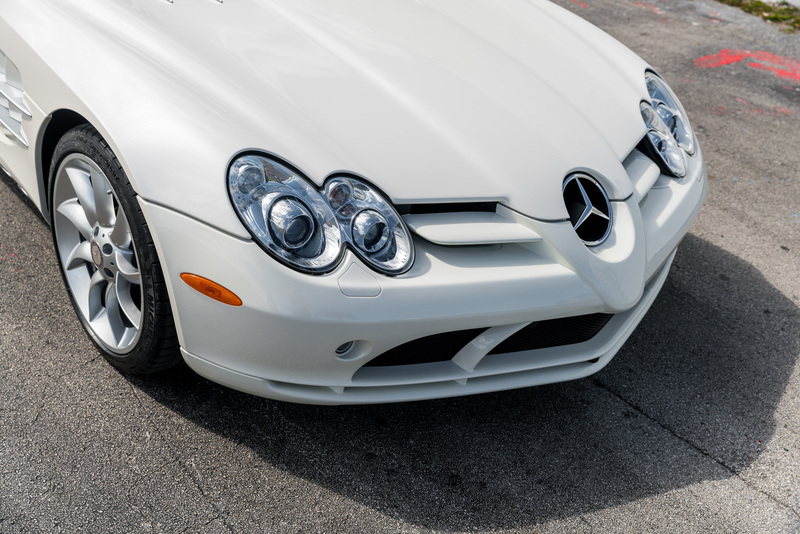 Despite this, the SLR’s curb weight is 3,858lbs and may attain a top speed of 208MPH. 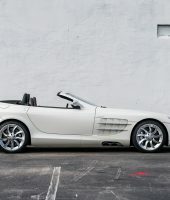 The Roadster version which premiered in September of 2007, uses the same engine as its coupe brother and has a 0-62MPH time of 3.6 seconds. 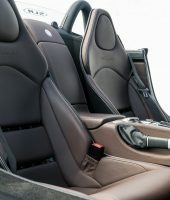 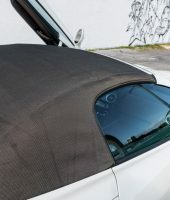 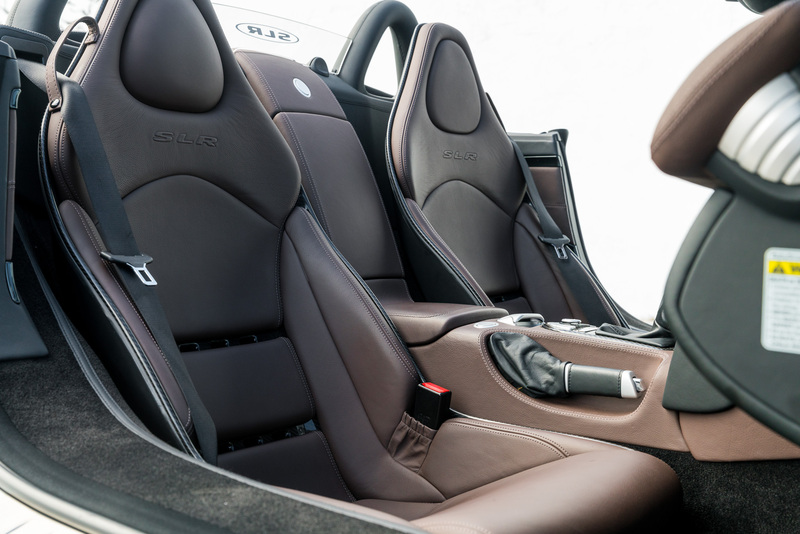 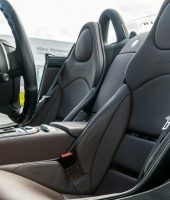 However, due to the roadster’s reinforced frame, it is saddled with extra weight which affects performance and handling. 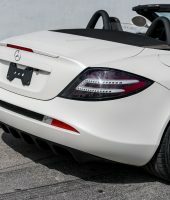 The roof is made from newly produced materials and does not take on the form of a folding metal roof commonly seen on modern convertibles. 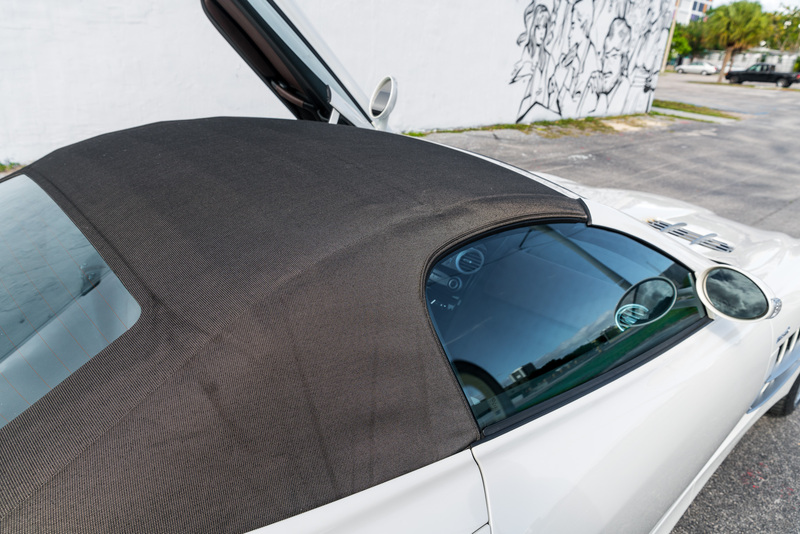 The roof latches are undone manually and then folds away in ten seconds electronically. 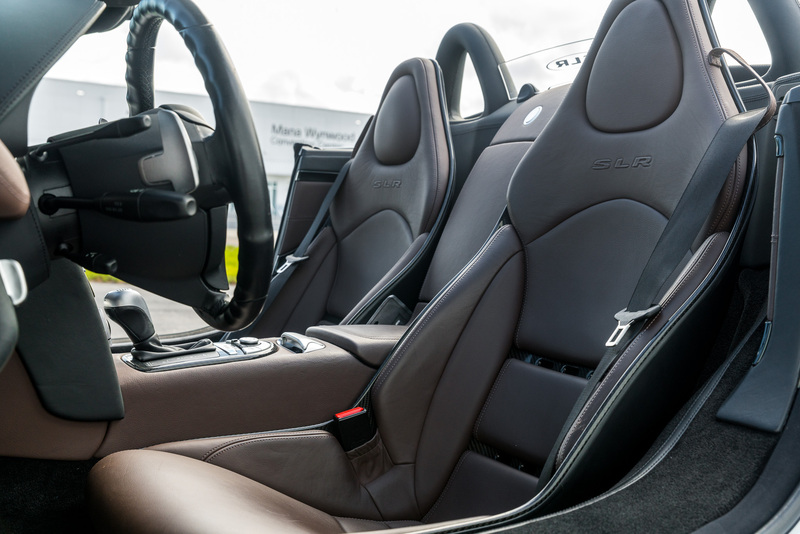 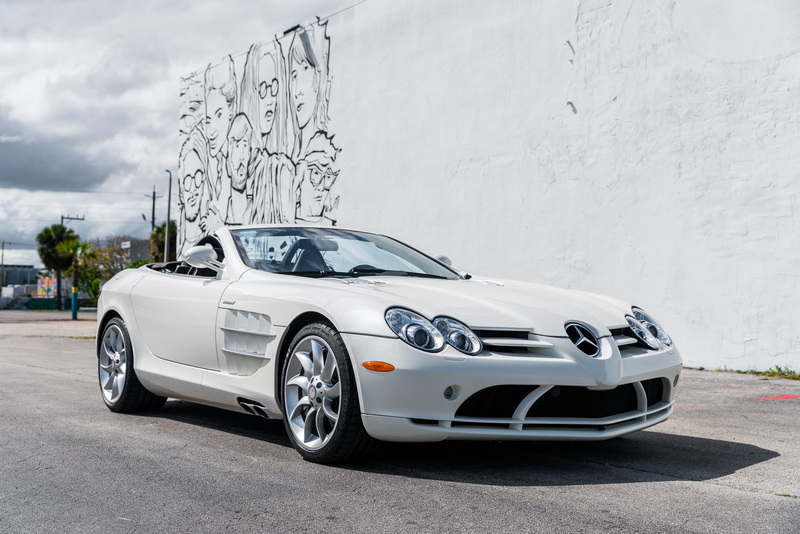 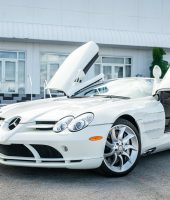 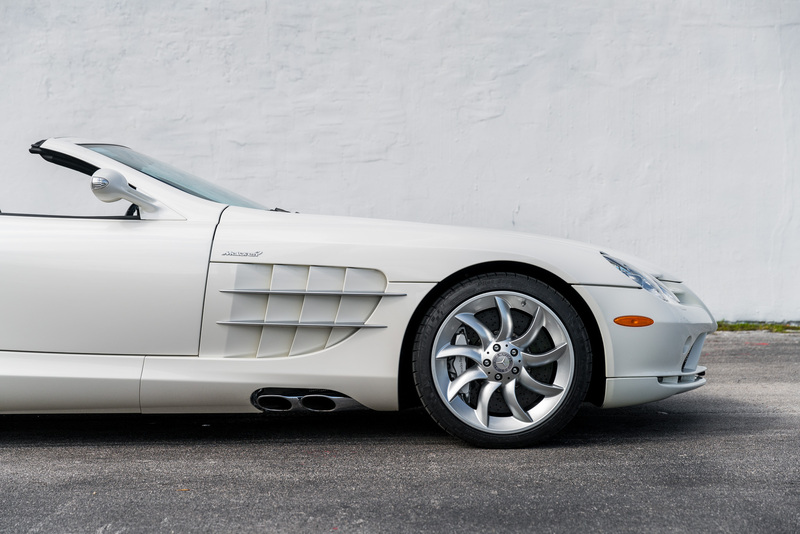 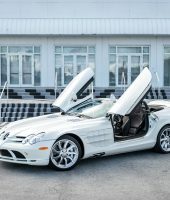 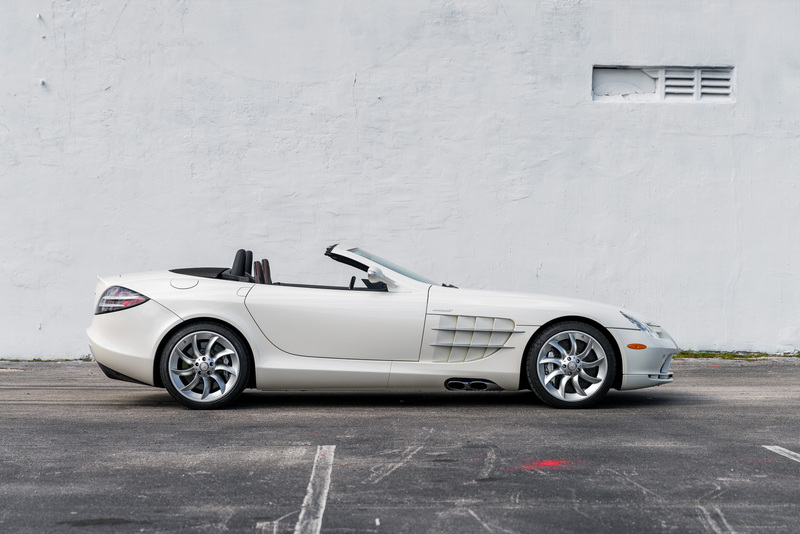 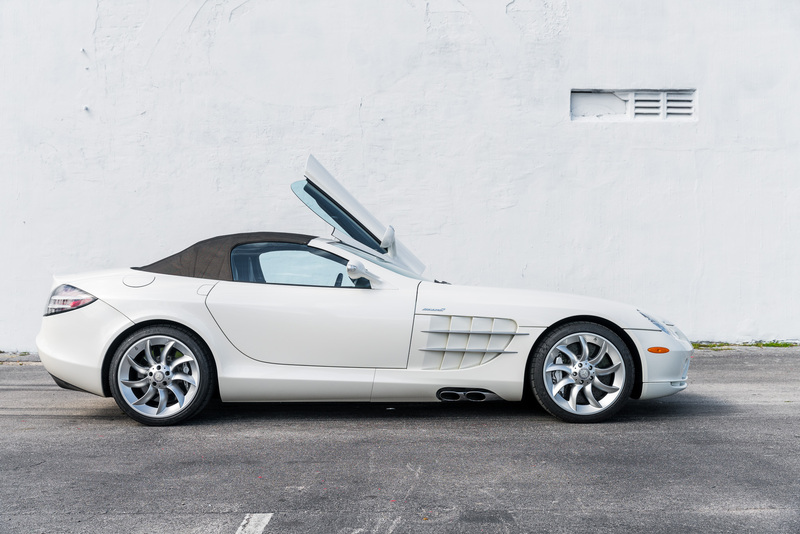 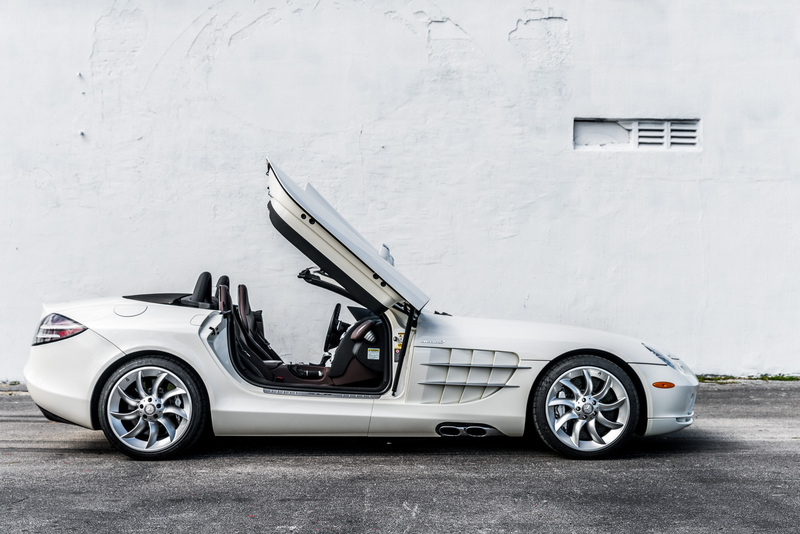 This 2009 Mercedes-Benz SLR McLaren is one of one, Paint to Sample in Artic White over Tobacco brown Semi-Aniline Leather with 8,556 original miles and clean CarFAX.